And the two different realities are based on ideology, not truth. 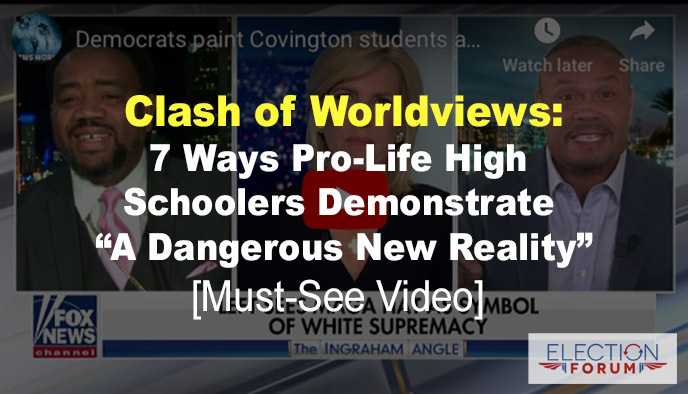 The media falsely accused pro-life high school students wearing “Make America Great Again” hats of racism and disrespect – and few apologized for rushing to judgement about it. The students were at the pro-life march in Washington DC – which, by the way – was completely ignored by the media. The media used one short video clip that completely distorted what really happened. The reality is the kids were falsely accused … but they are just high school kids. The kids were falsely accused by a media that never checked the facts. It was falsehood. Shame. But no confirmation. Just rage. The kids were first verbally assaulted by members of a racist cult, Black Hebrew Israelites. Then, a Native American came up and started beating a drum in the face of one of the pro-life kids. The media narrative now says if you wear a MAGA hat, you are racist. Politicians and the media are now saying Trump is racist, so anyone wearing the MAGA hat is also racist. Some are saying the hats must be outlawed and illegal to wear in public. The kids have been verbally attacked and their lives threatened … and this could impact them for the rest of their lives. They were turned into monsters by the media … and many believe they really are monsters. They will suffer consequences from this media attention – and the threatening vitriol it has produced – for a lifetime. 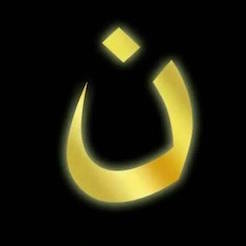 This attack is really an attack on anyone with traditional Christian or Jewish values. The media and politicians saw this as a double win – an attack on both pro-life supporters and on Trump supporters. The media was blind to the truth Why? Our culture is in decline. Postmodern relativists embracing a collectivist/socialist worldview have created a new “truth”- their own. Their “truth” interprets the world as they want to see it – as they believe it should be – not as it really is. The media holds a monopoly on mass communication. Google, Facebook, Twitter and YouTube censor Conservatives, Libertarians and Christians. They have a mission … a zeal. They see their job as spinning the news to support their viewpoint. 97% of newspapers endorsed Hillary Clinton in the 2016 election. Google, Amazon, Apple and Facebook employees made over 90% of their political donations to Democrat candidates. 95% of all news coverage of President Trump is negative. One takeaway from this incident is that our social divide is becoming deeper. Based on ideology and worldview, two people can watch the same video and come to completely different conclusions about what the video is showing. Watch this 13-minute debate between a liberal pastor and a conservative podcast host about the video clip of native American Nathan Phillips beating his drum in the face of a Covington high school student who is wearing a MAGA hat – during the March for Life rally in Washington DC. Now watch this discussion on Fox New’s The Five about how social media intentionally seeks to divide Americans … and how the news media falls right into the trap and exacerbates the divide (about 11 minutes).